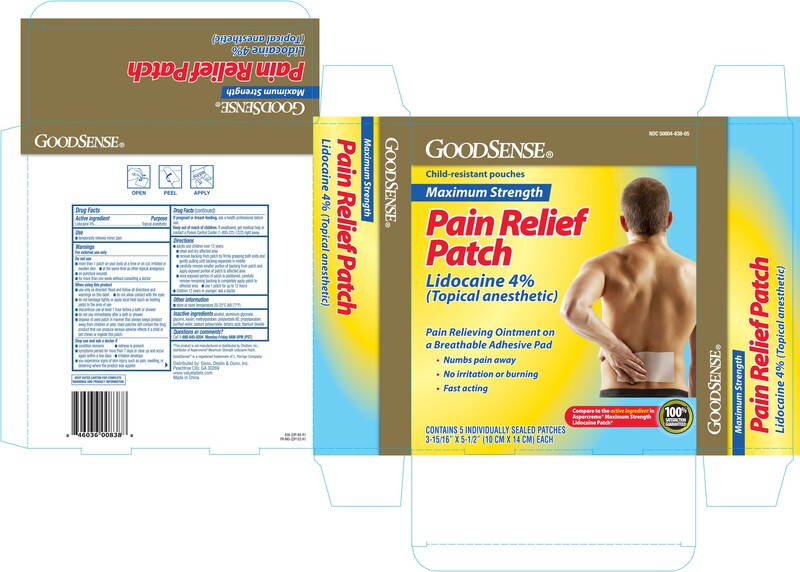 Proprietary Name: Goodsense Pain Relief What is the Proprietary Name? Non-Proprietary Name: Lidocaine What is the Non-Proprietary Name? Goodsense Pain Relief with NDC 50804-838 is a a human over the counter drug product labeled by Geiss, Destin & Dunn, Inc. The generic name of Goodsense Pain Relief is lidocaine. The product's dosage form is patch and is administered via topical form. Active ingredient PurposeLidocaine 4%..................................................................Topical anesthetic.